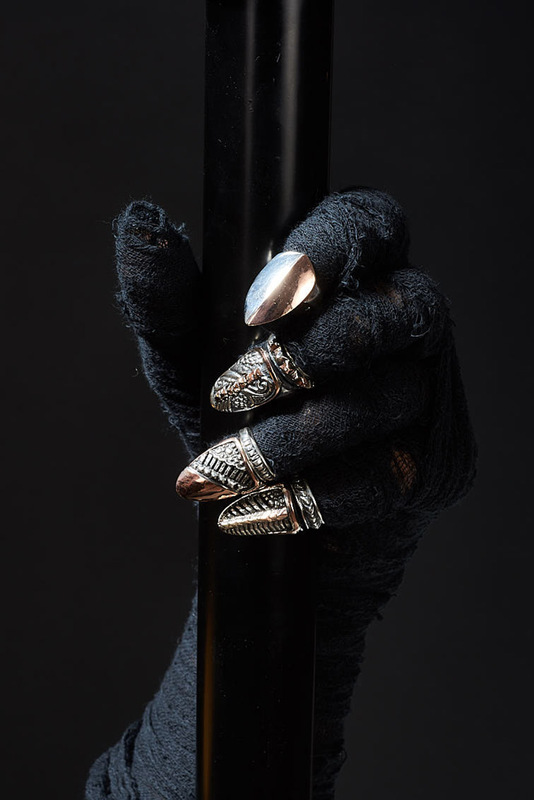 "Kd2024: a psychedelic dagger into the heart of fashion"
KD2024 is a luxury silver and leather accessories label deeply rooted in the underground psychedelic music culture. The transition from a pure wild journey, driven by passion and characterised by a techno-nomadic lifestyle, to an established international brand with bases in Milan, Paris and Bali has happened without dissolving the unicity of the designs and the totally free-minded spirit of the creator. KD2024 collection ranges from a solid "metallistic" side that includes rings, pendants, bracelets and ear clips to an eccentric leather section made of sophisticated ready to wear items, such as bags, neckpieces, backpacks, body armours and unusual crossover pieces. Custom-made designs are also created for the most discerning customers. The evolution of the label led to a branching of different styles with occasional merging points while always present has been the focus on an extreme detailed and artisanal work. Wild nature, alienist mega structures, time laps visions and tribalism/paganism are the main inspirations. The primal jungle-deluxe stage, characterised by wild fringes and super-loaded and deconstructed cut patchworks of fine lamb and reptilian skins, with horn and natural stones details, left space with the current phase to more compact, volumetric and futuristic designs. KD2024 has a dark apocalyptic aesthetic that shines inside his cosmic core. 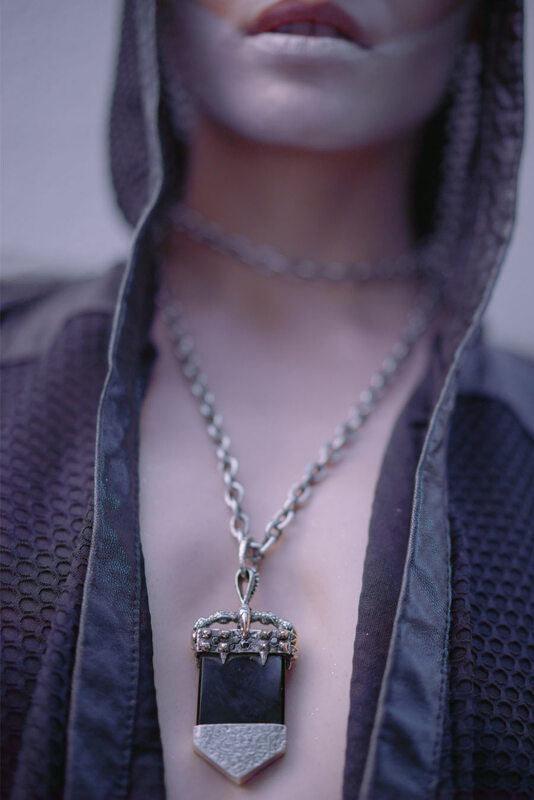 Dramatic looking jewellery with a glam-rock flair. Edgy and dark designs, but still sparkly and elegantly masculine. This unique concept holds the legacy of a lost world and of a universe yet to be seen. 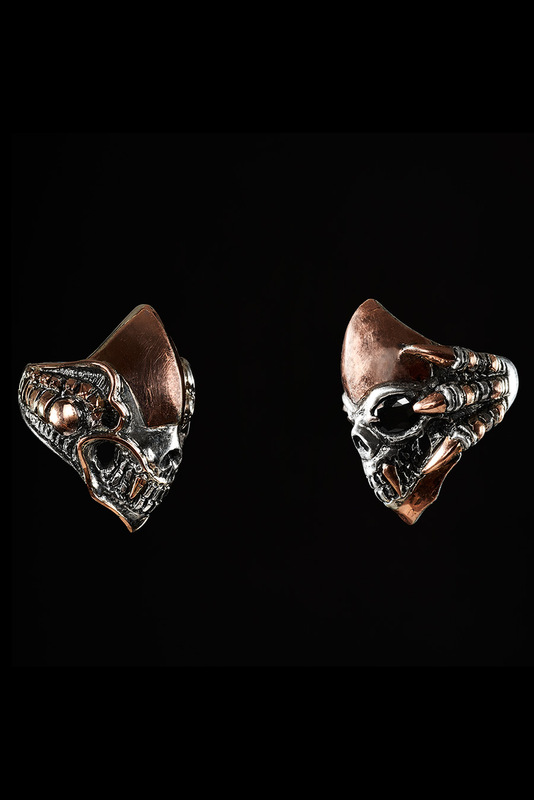 KD2024 designs have been chosen by celebrities such as Steven Tyler, Janet Jackson, Fergie from Black Eyed Peas, Yandel Veguilla, Vanessa Hudgens, Belen Rodriguez, Giacomo Maiolini, Gianluca Vacchi and more.